I can’t help but think that Ol’ Mother Nature got March all mixed up. This has been an amazingly balmy winter. (Relatively speaking) So when the snow advisories started coming in, I just scoffed. It’s already Spring, why on earth would we get snow? Besides, everyone knows that the month is supposed to go out like a lamb…even if it did come in that way. When I glanced out the window this morning, I had to laugh at myself (and mutter under my breath about weathermen being lucky about finally getting it right) I happily watched the fat, fluffy flakes float lazily down from the skies. I knew there was no chance that they would stick, so I was free to enjoy the snow without worries. Fortunately, for my sanity the snow has pretty much melted. Now all I have to do is stay away from all those media sources that insist we could get an accumulation of two inches by morning…and focus on the fact that one week from today I will be in Columbia, SC where it is currently eight-one degrees…. 25 Responses to Out like a lamb? Yep it snowed here too! Amazing! Wow, South Carolina, huh? That is cool. I was born in South Carolina (haven’t been back since I was 18 mo. old…but hey, great state!). Hope you enjoy your trip! two inches? what a wimp you are Susan! If Shaun was to nestle into our own particular Colorado cabin you would have to face FEET of BLOWING and DRIFTING snow, to the tune of not being able to get to town in Laramie, WY (45 minutes away via dirt roads) for a few days or more … well, you get my DRIFT. Forgot to add a link to those of you thinking of having a remote cabin. Susan, my advice for you is to come and visit in the summer. Any other season if fair game! I don’t know what snow is, and I’m planning on keeping it that way. You lucky lucky girl!! You get to skip town where it’s warm and actually Spring and can wear flip flops. Do you have room in your suitcase for moi? It’s spring here. It did turn a little colder today with the highs in the 40s, but everything is beginning to bloom all over the area. We got a freak snow here in Texas! what is up with that! I forgot that March is supposed to go out like a lamb. I don’t see any evidence in the weather that this is happening yet. I do see actual lambs though. While snow is pretty in photos I am no fan of it in real life. And those are some nice shots by the way. Wish I were heading towards 81 degress in a week. Hi Susan, nice to meet you, thanks for commenting my blog. and looking outside the window. join in on the crazy world of bre10! new pages, new stories, new bre101! don’t forget to participate in Earth Hour tonight! The weather here all last week was beautiful, was supposed to be 70 degrees here today, but no, this am while we are having a garage sale it is between 45-55! Yap spring felt like it had sprung! We actually had two inches of snow here in Maple Valley on Thursday. Today all we got was a wicked hail storm. Sure am glad we had a new roof installed a couple of years ago. Prior to that, every time it hailed (never when it just rained) the roof in the kitchen would leak. I guess we should expect some more snow tomorrow. I HATE, HATE, HATE it and refuse to drive in it. We have snow on the eastside today. I grew up near Seattle – and I just don’t recall having all that wild weather when I was young. I do know our pond froze over a few times and we skated on it. So I guess we had some wild weather. 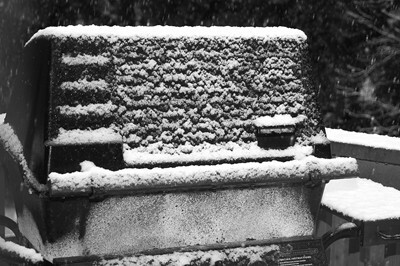 i really like that new header…even if it is snowing! hopefully by the time you get to columbia this week we will be out of our spring weather funk…yesterday it was 50 & rainy, which seems like deep winter down here! Well, we had snow on Friday, temps in the mid-40’s on Sunday and are supposed to be in the 60’s tomorrow. 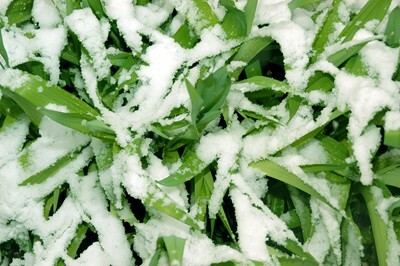 But they haven’t ruled out the possibility of an April snowstorm yet…that’s “Spring” in New England. At least we’re not going to get the 18+ inches of snow we were “gifted” with several years ago in what they dubbed the “April Fool’s Storm”. Have you thawed out yet? Have a great trip – I would SO LOVE to be going somewhere warm right about now. It snowed here too! LOL! Just kidding – April Fools. I just bet you cannot wait to get to Columbia then!! Woohoo, how long are you going there for?